Durability, power and floatation characterize the performance and value of compact track loaders. Floatation or more known as ground pressure, is an important factor because compact track loaders are strongest operating on soft soil. The floatation allows the compact track loader to float over the soft surface. The lower the ground pressure, the better the loader will perform. To achieve low ground pressure, the operator needs to spread the weight of the loader over the length and width of the tracks, which can later help to stabilize the machine. Another concern to take into account when buying a compact track loader, is the operating capacity. As operators move many materials at once, including concrete, they need a capable machine to get the job done. 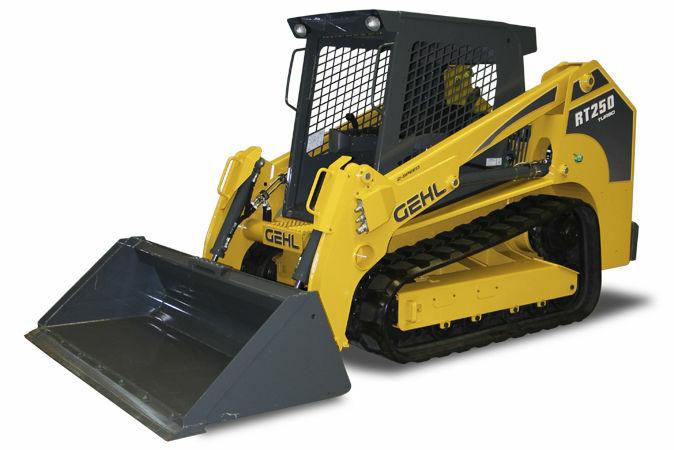 So, they need to select a compact track loader that has the capacity to handle any type of material for moving. The weight of the material and the time needed for transport depend on the bucket size. Miles per hour and boom speeds are also factors that affect the productivity. Boom speed determines how fast the compact track loader loads and unloads materials, while travel speed indicates how long it takes to get from one location to another. There are compact track loaders with radial and vertical lift arm configuration and when comparing both configurations, the operators need to think of geometry aspect. With radial lift configuration, as a load is lifted or lowered, it curves slightly outwards at the mid-point of the lift cycle. Vertical lift arm configuration includes additional linkages and pivot points, which give more vertical moment of the loads. So, with the loads moving up and down, the vertical lift geometries lean on having more forward reach at highest. The differences between pushing and lifting make each configuration better match for certain tasks. The radial lift machines are better match for pushing, digging and prying, while vertical lift machines are manufactured for lifting, carrying and loading applications. And finally, the most important thing to consider when buying a compact track loader is to think long term. The operators need to ask themselves first what will they do with the machine and what will they do with it in the future as their business grows. To conclude, do not look for the largest and most powerful machine, but invest in a machine that is capable of completing any task and can match any job and at the same time, meets all the requirements outlined. For more information on compact track loaders click here.